Our teachers are chosen with care. 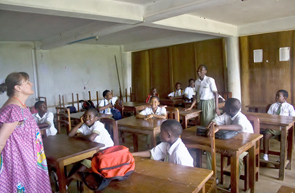 Our staff receive subject training as well as intensive teacher training from Mr. John Eta, annually. They are fully engaged in being present in their classrooms as well as interacting with students over the lunch break, during study hall and during extracurricular activities. They meet weekly as a team to share and compare ideas to improve the delivery of learning at Eta College.